ExpatsBlog.com Expat Blog Awards 2013: Jordan Gold Award! 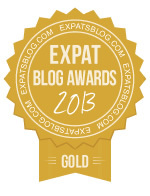 This blog won the Gold Award for best expat blog in Jordan! 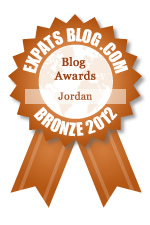 ExpatsBlog.com Expat Blog Awards 2012: Jordan Bronze Award! This blog won the Bronze Award for best expat blog in Jordan! Great blog. Just moved to Amman and my family is joining me in July! Your Name Do you think this blog has what it takes to be listed at the top of Expats in Jordan Blogs?